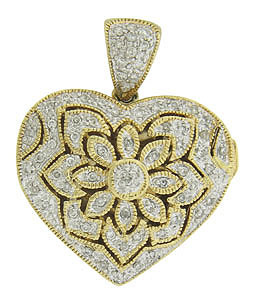 This spectacular antique style locket is adorned with a whimsical cutwork flower. 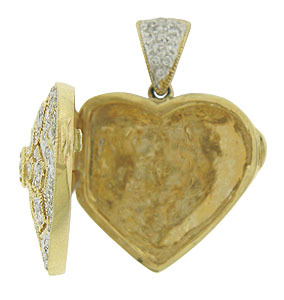 The entire surface of the romantic piece is frosted in fine faceted diamonds and crafted of 14K yellow gold. 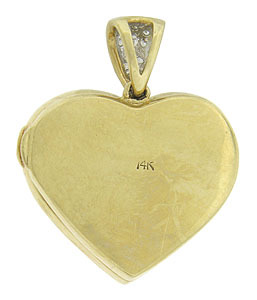 The locket measures 1" in diameter.